The good folks from CSG and Worrall's presented their 2013 bike range to dealers and assorted alumni from both sides of the ditch in Sydney on Thursday and Friday, and then opened up to the public for a look on the Saturday too. GT and Cannondale, being their main brands, featured heavily, along with Schwinn and Mongoose, SRAM, Shimano, Sugoi, Fox Shox, a few Aussie mags, a BMX halfpipe demo and the best coffee and catering seen at a trade show ever! And the venue was amazing, an old railway maintenance building at the Sydney Technology Park, converted workshops with huge machinery which was almost as cool to look at as the bikes. Having the Athertons riding your bikes can't be a bad thing, and while Gee and Rachel have been getting the results on the DH circuit, big bro Dan has been having a crack at Enduro racing. His weapon of choice, the Force, is getting a few refinements and a bigger push from GT as their do-it-all bike. Carbon and alloy frame options and adjusted geometry on the LE that Dan favours. The LE is similar in geometry to the now-defunct Sanction with a lower BB and slacker head angle, putting it in GT's 'Enduro' section of the lineup while the other Forces sit in the 'All Mountain' category. If you're more Gee and Rachel than Dan, you can get the Fury as a complete bike in World Cup carbon or the alloy version in two models. Now for the trivia question of the day; who is the only pro rider to have been on the same brand of bike for 25 years? No way! It's Hans Rey. Yep, GT and Hans are celebrating their birthday in style with some limited edition bikes. There's a carbon Zaskar 100 with a nice smattering of gold bling details and Crank Brothers Cobalt wheels; or a lower priced and specced Karakoram in both 26 and 29 wheel options. The New Zealand distributor isn't doing the Hans model as a stock item but is happy to custom order them in (via your local dealer). If you're interested in getting one email them here. Or if you're too cheap to buy a bike, you can still get this beautiful coffee table book. Even if you're not a fan of Hans, it's a great history lesson and is filled with hundreds of amazing images of Hans' adventures around the world and all the bikes he's done them on. Where exactly have you ridden Hans? The Zaskar Carbon Pro 9r is just the ticket for trail riders and XC racers wanting a light, short travel, big-wheeled rocket. XT drivetrain and Formula R1 brakes. Looks fast standing still. Want. Formula brakes are specced on quite a few bikes at the higher end of the GT lineup this year. There's also some GT love for the growing cyclocross market, and the Type CX Elite offers the budget 'crosser disc brakes and an alloy frame. Again the New Zealand distributor isn't doing the 'Cross model as a stock item but is happy to custom order it in. If you're interested, email them here. New acronym/sub-genre time: MTBMX. Yep, that's a dirtjump bike between you and me. La Bomba. Two models. The Sensor 9r is one of those bikes that just works, so no need to change anything really. 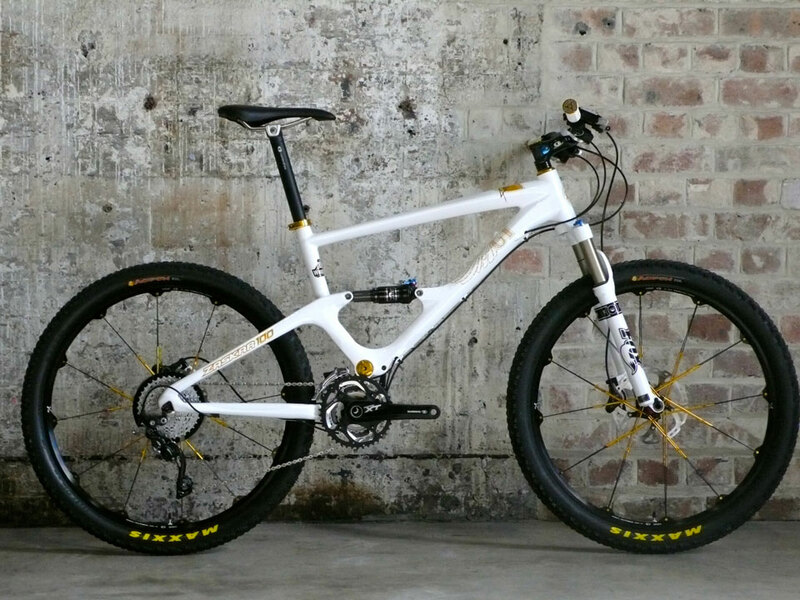 This model, the Expert, sits between two others in the lineup and will be a killer value for a 29er trail bike.